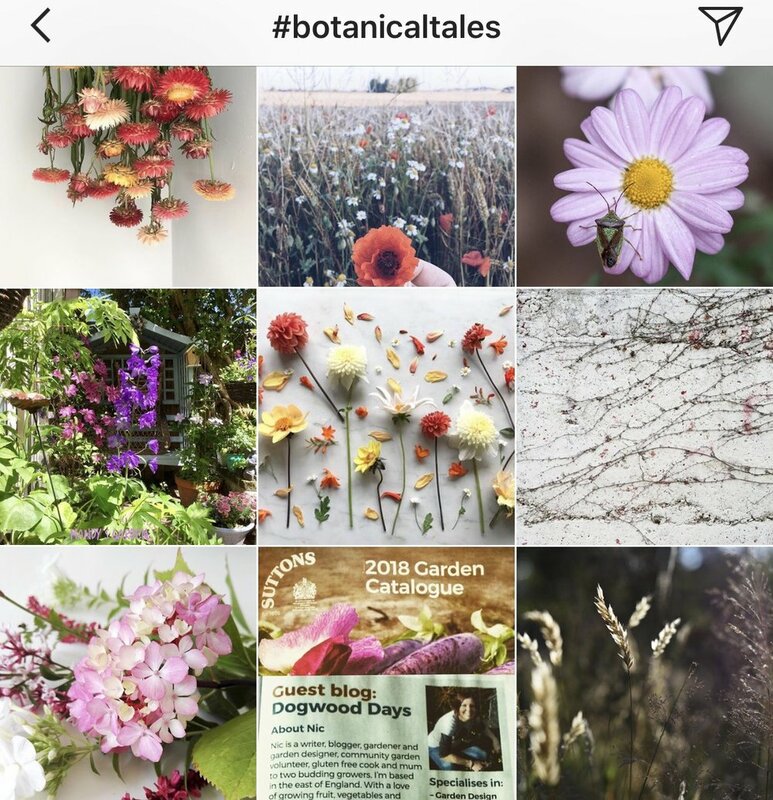 Ever since I started my Instagram account last year, my husband has bugged me to start using the hashtag #botanicaltales in case something was ever to come of this thing I am doing here! However, being the stubborn person that I am, I refused (for a while) but then realised he might be on to something, so I gave in and began to use the # on all my posts. That was a good few months ago and with little effort on my part and lots from other people, the hashtag has been filling up with loads of absolutely stunning images. Moving forward I’m going to be selecting a few images from the gallery on a (semi) regular basis to share here, with a little thought as to why they caught my eye. I am dying to visit Andrea’s haven in Wales, but for now, I enjoy her beautiful nature photos instead! She has captured the golden light so perfectly, using a subject which is often over looked but can be simply gorgeous, grass. Wildflower meadows, what more could one wish for? There is something so magical about these spaces, I love nothing more than to spend an hour or two taking photos of meadows teaming with bees and butterflies. I am reminded of hazy summer evenings when I look at this image and it transports me back in time. Lisa is my go to for everything gardening and plant related, honestly she is like some kind of guru! We keep threatening to meet at Wisley but so far haven’t made it happen. These ruffled hollyhocks look like little mini dresses and I am adding them to my list for next year (to plant not wear of course)! Maria and Camilla are old hats at this Instagram game but this new account from them is one to watch. I absolutely love that the focus here is on the buds of the poppies with the showy blooms taking backstage. Poppies are one of those plants that I love every stage of, from the bud, bloom and right the way through to the seed heads. So there you go, a small selection to begin this seriesbut I hope they have provided some inspiration for you. Please do use the #botanicaltales on any of your captures that you feel would suit the gallery and I look forward to discovering you! Thank you to all my featured accounts today.